We’re investors also, so let us help you achieve your financial goals. We make renting our properties easy. View our rentals and apply online today! Propertycare is a leading Houston property management firm that provides exceptional service to both owners and tenants. We manage a multitude of properties in and surrounding Houston. Our skilled, locally-based team knows the area inside-out because we live here and we love it here! We have our finger on the pulse of the city and know the ins and outs of the local real estate market. Our services extend far beyond collecting rent. We partner with owners and take care of each property as if it was our own. Relationships come first at Propertycare because when we understand needs, we can provide the exact services required. No two owners or properties are alike, and we recognize and appreciate that! Propertycare was founded on the basic concept that by focusing on the relationships, quality, and value, we could provide unparalleled property management services that frees owners of the headache of self management! We are passionate about what we do! Property management is a unique, multifaceted business that requires sensitivity to sometimes conflicting needs of the involved parties. Every party has a stake in the home, and we are experts at balancing everybody’s needs while increasing profitability for the owner. Owners, tenants, and property managers must work together to meet each other’s needs – the relationships are interconnected and interdependent – and we respect that! Our commitment to quality and relationships extends to our tenants. We are committed to providing well-maintained, safe properties at competitive rates – backed by unsurpassed customer service. There is an extensive list of benefits to Propertycare tenants and owners. First and foremost, we respect and honor that the properties we manage becomes homes that house families. For our owners we offer real estate savvy, the highest quality tenants, exceptional property maintenance, and the highest occupancy rates in Houston. For our tenants we offer beautiful, well-maintained properties, competitive rents, and exceptional service should the need for maintenance arise. Propertycare team members are problem solvers. There are many challenges that face tenants and owners in the Houston area and our team provides solutions to help both to meet the needs and goals of each party. 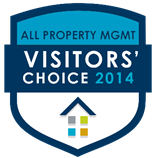 To Propertycare, property management is so much more than simply collecting rent. It is a mutually dependent relationship because tenants, owners, and the agency depend on one another to thrive and prosper.